Spring Roofing Projects & Maintenance in Massachusetts | Nor'easter Roofing Inc.
Spring is finally here! Warm weather and sunshine will soon be upon us, a perfect time for new beginnings. Now that the snow and ice are gone (hopefully! ), its time to take a look at that roof to see if the harsh winter did any real damage. 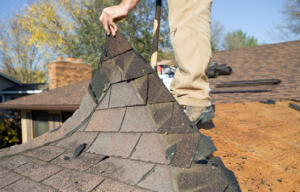 Check for loose shingles, any leaks in the attic, or water damage and rot on the wood. Unfortunately the Massachusetts winter can do terrible damage to a roof, but have no fear, Nor’easter Roofing of Uxbridge MA is here to help with any and all roofing damage and maintenance needs! Whether you need shingles replaced, a leaky roof fixed, or woodwork replaced, just call us at (508) NOR-EAST and talk to the owner Rob Chaille directly to get a free estimate and find a solution to your roofing problems!